Samsung is launching new A series phones tomorrow, and the Galaxy A80 (or A90) will be the start of the event. So far, we know that the phone would launch with Qualcomm SM7150 processor, but we didn’t know the official name of this processor till now. Now, Qualcomm just announced three new mid-range processors and the A80 would launch with one of those. The Qualcomm Snapdragon 730, 730G & 655 were announced today with some nifty improvements. Let’s start with the bottom, i.e., with the processor that’s the least powerful among the three. 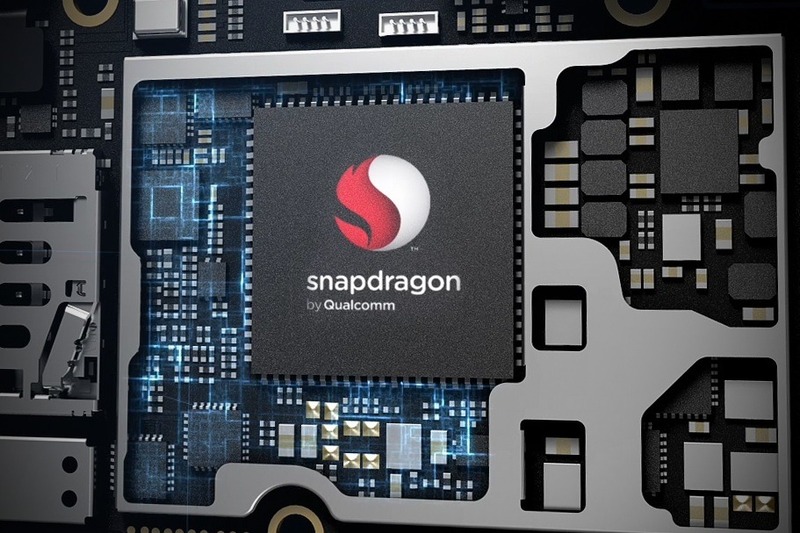 The Snapdragon 665, as the name shows, is an upgrade to the much popular Snapdragon 660 that powers a lot of phones. Now, don’t expect anything fancy here as the CPU remains the same, i.e., the Qualcomm Kryo 260. Moreover, the maximum clock speed is 2.0GHz, i.e., lower than the maximum (2.2GHz) clock speed of the 660. But, don’t think of it as a negligible upgrade from the 660. The Snapdragon 665 is an 11nm processor which means it is more power efficient than the 14nm Snapdragon 660. There is now an upgraded Adreno 610 GPU that, on paper, seems much powerful than the Adreno 512 GPU of Snapdragon 660. One of the things that make the Snapdragon 665 different from 660 is the Enhanced AI capabilities that result in improved gaming, camera performance, and security. There is a 3rd Generation Qualcomm AI Engine that performs smart biometrics, for features like 3D Face Unlock and Object Detection, and opens up more camera capabilities including Portrait Mode and Low Light Night Mode. The Snapdragon 665 features Hexagon 686 DSP which is a small upgrade from Hexagon 680 DSP on the Snapdragon 660. Interestingly, the Snapdragon 665 supports only up to FHD+ screens whereas the Snapdragon 660 supports up to Quad-HD displays. Well, most of the other specifications remain the same, so these were the only significant changes in the Snapdragon 665 compared to the Snapdragon 660. What happened to 720? Well, we don’t have any answer as of now. So, right now, we are assuming that the Snapdragon 730 is an upgrade to Snapdragon 712. One of the most significant changes includes the 8nm manufacturing process for the 730 compared to the 10nm process for Snapdragon 712. This means it is extremely power efficient and also powerful. Then, there is the upgraded Kryo 470 CPU which seems like a significant upgrade from Kryo 360 CPU of Snapdragon 712. The maximum clock speed is reduced to 2.2GHz compared to 2.3GHz of Snapdragon 712. The Qualcomm Snapdragon 730 features the Adreno 618 GPU compared to the Snapdragon 712’s Adreno 616. There is a 4th Generation Qualcomm AI Engine for improved AI performance. The Snapdragon 730 is one of the first platforms that come WiFi-6 ready, thanks to the Snapdragon X15 LTE Modem. The Qualcomm Spectra 350 ISP features the Computer Vision (CV-ISP) to bring brand-new camera capabilities, a first for 7 Series. It also captures photos and videos in HEIF format so you can document life from multiple angles and store it at half the size. The Snapdragon 730 supports up to FHD+ screens whereas the Snapdragon 712 supports up to QHD+ screens, so that’s again interesting. Now, the Galaxy A80 (or A90) has SM7150 processor, so it is either the Snapdragon 730 or the 730G that we are going to discuss next. G for gaming? Well, we are guessing so because the Snapdragon 730G brings select Snapdragon Elite Gaming features to your mobile device for a compelling gaming experience. It also offers AI via the Qualcomm® AI Engine for more intuitive image capture and optimized performance. Qualcomm says that for the first time, you can game in True HDR with a seven series processor. Some of the gaming features include Network latency manager, Jank reducer, Anti-cheat extensions, etc. It has the same Kryo 470 CPU and is based on the 8nm manufacturing process as well. The clock speed is the same, and so is the GPU. Another big difference between Snapdragon 730 and 730G is that the latter supports up to Quad-HD+, HDR10 (3360×1440) displays whereas the former supports only up to FHD+ screens. Well, that’s all about the latest mid-range processors from Qualcomm. We would see either Qualcomm Snapdragon 730 or 730G powering the Samsung Galaxy A80 (or A90) that is launching tomorrow. Moreover, more phones with these processors are expected to launch this year.